The more I work on roads, the more I realize it’s quite a complicated system. Currently placing roads work more or less, there are some minor bugs with collisions and rendering doesn’t work quite good. I will work on this along other features to move forward. Despite some problems at the end of the month, I’m still impressed with the number of things I could do in four weeks. I would say I’m a bit behind schedule, but many things can be reused, and I hope to catch up later. 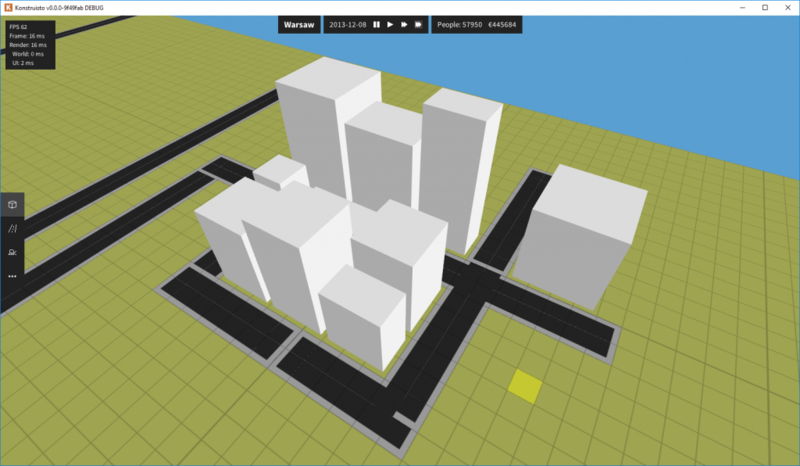 In April, I want to finish an MVP: place roads, place zone, buildings grow. All of this working with money flow. There are some things to polish, too. I will start zoning. I want to create simulation framework, so that building infrastructure will cost something, finally.